Tim Moore, Chairman of Moore Executive Suites is pleased to announce the appointment of Starr Dobson to the Advisory Board of the Company. Starr is currently the President & CEO of the Mental Health Foundation of Nova Scotia. An acclaimed journalist, best-selling children’s author and dedicated community volunteer, Starr holds an Honours Journalism Degree from the University of King’s College. Starr was recently honoured with the Rising Star Award at the 2015 Maritime Philanthropy Awards and is a past recipient of the Special Olympics Nova Scotia Dr. Elizabeth A. Chard Award. 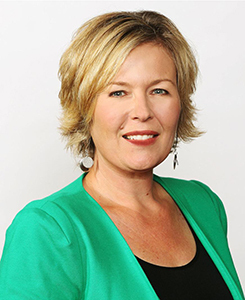 She has also received an Atlantic Journalism Award and several RTDNA awards including the Adrienne Clarkson Award and the Dave Rogers Award. Starr currently serves on the Together We Can Mental Health and Addictions Strategy Advisory Committee, the Health Charity Network and the Fountain of Health Core Group Committee. She is the Co-Chair of the Nova Scotia Hospital’s Back to Our Roots Urban Farm. Starr hosts Changing the Way People Think with Starr Dobson, a weekly radio program on CIOE FM, writes a monthly column for the Chronicle Herald’s Senior Living publication and is the newest contributor to Our Children magazine. Starr has served on the Boards of Special Olympics of Nova Scotia and the Maritime Conservatory of Performing Arts. She brings a fresh voice and perspective to the field of mental health fundraising and awareness. Tim Moore, Chairman of Moore Executive Suites is pleased to announce the appointment of The Honourable Myra Freeman C.M.,O.N.S.,M.S.M., to the Advisory Board of the Company. Her public service has enabled her to contribute in many ways to Nova Scotia and Canada. A graduate of Dalhousie University, Mrs. Freeman is an educator whose focus on youth related issues has been a hallmark of her commitment to community. 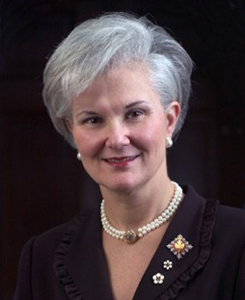 Through her service as Nova Scotia’s 30th Lieutenant Governor, Honorary Captain Royal Canadian Navy, and former Director of the RCMP Foundation, the International Women’s Forum of Canada, and the Advisory Board of Coady International Institute, she has served in leadership capacities and provided a greater awareness of community to the public. Currently, Mrs. Freeman serves as Director on the Telus Atlantic Community Board, the Canadian Institute of Military Veterans Health Research, Historica Canada, Save the Children Canada, the Duke of Edinburgh’s International Awards, the Frank H. Sobey Business Scholarship Awards, the Canadian Naval Memorial Trust, and the Board of Governors of Mount Saint Vincent University. Her pursuit of excellence has led to recognition within the National Honours System as a Member of the Order of Canada, the Order of Nova Scotia, and the Meritorious Service Medal. Mrs. Freeman is the recipient of the Public Policy Forum of Canada Award, recognizing an Atlantic Canadian who has significantly contributed to public policy leadership on a regional basis with national impact. She has been recognized by the Progress Women of Excellence Lifetime Achievement Award, the Richard Ivy School of Business and Women’s Executive Network Trailblazer Award, and has been honoured with six Honorary Degrees. The Honourable Myra Freeman brings a broad perspective of community to the Advisory Board. Tim Moore, Chairman of Moore Executive Suites is pleased to announce the appointment of Lieutenant General (LGen) Roméo Dallaire, who is a retired lieutenant-general, Senator, and celebrated humanitarian. Most notably, LGen Dallaire was appointed Force Commander of the United Nations Assistance Mission in Rwanda (UNAMIR) prior to and during the 1994 genocide. LGen Dallaire provided the United Nations with information about the planned massacre, which ultimately took more than 800,000 lives in less than 100 days yet permission to intervene was denied and the UN withdrew its peacekeeping forces. LGen Dallaire, along with a small contingent of Ghanaian soldiers and military observers, disobeyed the command to withdraw and remained in Rwanda to fulfill their ethical obligation to protect those who sought refuge with the UN forces. 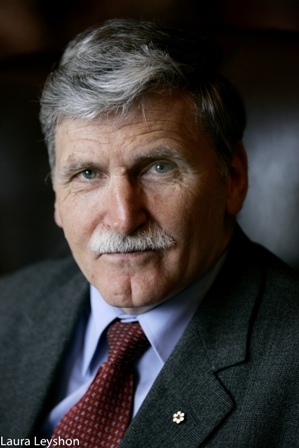 Upon being medically released from the Canadian Army in 2000, LGen Dallaire has served on the UN Advisory Committee on Genocide Prevention, as Special Advisor to the Minister of Veterans Affairs Canada, as Advisor to the Minister of National Defense, and as Special Advisor to the Minister responsible for the Canadian International Development Agency on matters relating to War Affected Children. He is founder of The Roméo Dallaire Child Soldiers Initiative, an organization aimed at eradicating the use of child soldiers; an outspoken advocate for human rights; a respected champion of genocide prevention initiatives, the Responsibility to Protect doctrine, as well as a best-selling author. LGen Dallaire is an Officer of the Order of Canada, a Grand Officer of the National Order of Quebec, and a Commander of the Order of Military Merit. He is the recipient of the United Nations Association of Canada’s Pearson Peace Medal, Meritorious Service Cross, the United States Legion of Merit, the Aegis Award on Genocide Prevention, the Arthur Kroeger College Award for Ethics in Public Affairs from Carleton University, the Laureate of Excellence from the Manitoba Health Sciences Centre, and the Harvard University Humanist Award.